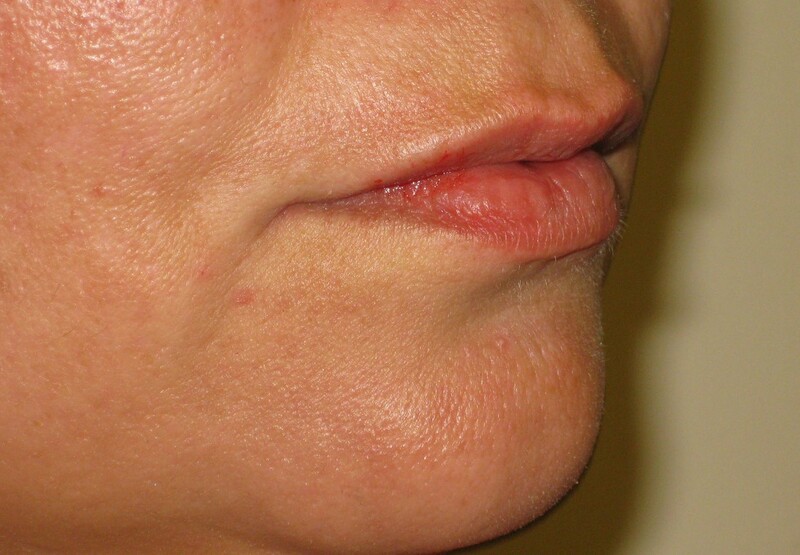 A lip filler can be useful for the whole facial area and not simply for the lips themselves. Sometimes lips are not correctly aligned with the chin and the nose on a profile view. 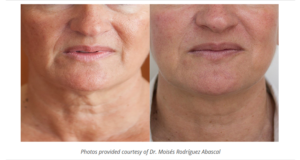 This can give the false impression of a chin or a nose too long or too big when in fact they are not. It’s just that the lips need a bit more projection forward. This highlights the fact that it is really important not to be focused only on one thing but to replace each element within the whole context, an harmonious and balanced face. This also shows that the profile view needs to be respected. Injecting to much will project the lips too far and the result will be the “duck lips” effect. 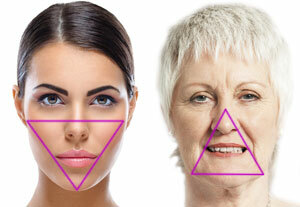 Injecting the chin or the tip of the nose can sometimes also be used for the same purpose of facial balance. For instance, restoring the volume under the chin muscle can improve the appearance of the lower lip and enhance the jaw line. 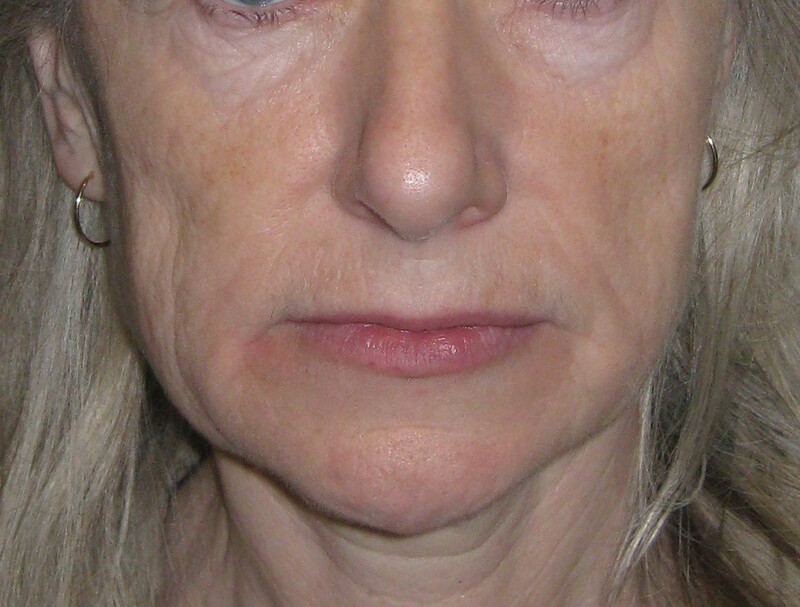 Back to the lips themselves, you can see on the pictures above that the projection of the upper and lower lips improves the corner of the mouth and shortens the white upper lip. 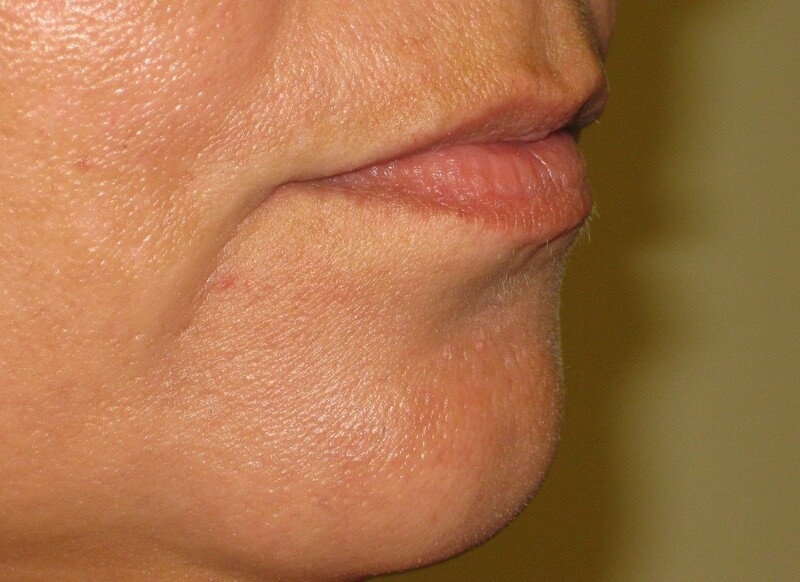 The projection of the lower lip shortens the chin. 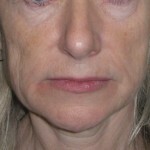 We prefer to use a good Hyaluronic acid filler than can mix easily with the surrounding tissues without getting lumpy. 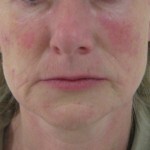 Lips are a good indication for injection when they lie onto a good facial support ( teeth, middle face facial volume). 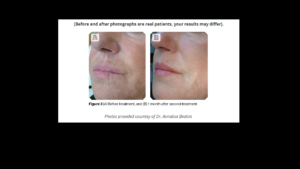 When this support is not good it is better to fix this problem first and plan the lip enhancement later. Cost : 1 syringe Juvedem Smile £ 260. 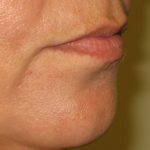 This entry was posted in Botox injections Dr Vidal London, lip filler london, Uncategorized and tagged Advanced filler doctor london, botox injections london, lip filler on by thierry. 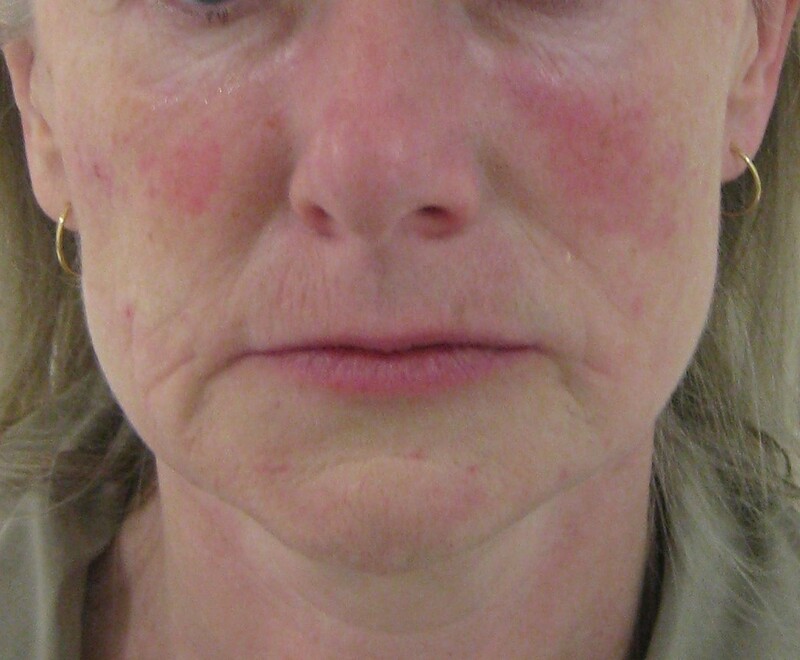 A score of 3 or 4 indicates severe hyperhidrosis. 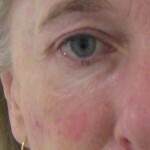 A score of 1 or 2 indicates mild or moderate hyperhidrosis. The HDSS can be used to follow the efficiency of your hyperhidrosis treatment . A 1-point improvement in HDSS score has been associated with a 50% reduction in sweat production and a 2-point improvement with an 80% reduction. 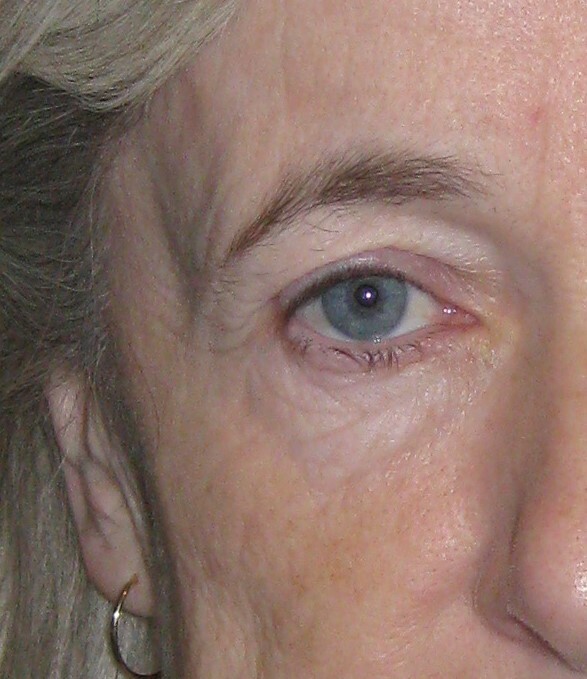 Botulinum Toxin (Botox) has revolutionised the treatment of this embarrassing problem. It works by blocking the release of acetylcholine which is the messenger between the nerve and the sweat gland. The gland does not receive any order. It stops working and you stop sweating. 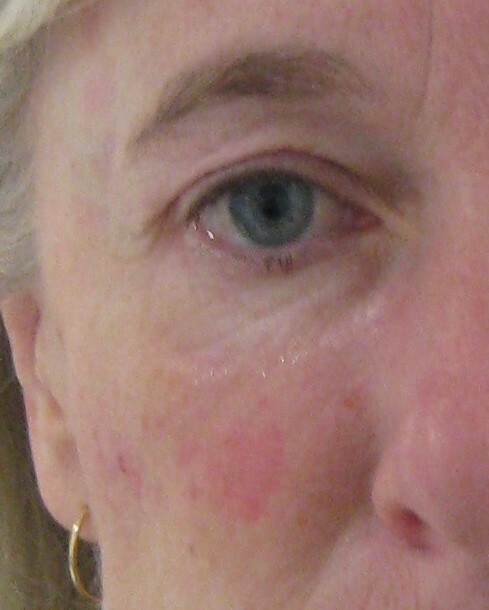 Similar to the effect on facial wrinkles this anti-sweating effect is temporary because your body will rebuild functioning connexions between nerves and glands. This effect can last 6 to 8 months so you can relax and perform for that period of time. 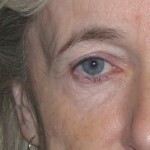 Technique : quick and simple , botox is injected into the dermis,exactly as for a facial procedure. The quantity used for underarms hyperhidrosis is just higher than for the face. This entry was posted in Botox injections Dr Vidal London and tagged Advanced filler doctor london, botox doctor london, botox injections london, hyperhidrosis treatment london, underarm sweating on by thierry.